There’s something aesthetically pleasing about a beautifully-designed wooden fence around a home. More and more modern homes are incorporating different styles of wooden fencing that look appealing and increase the value of your home. 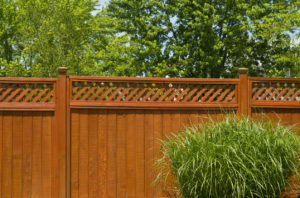 The great news is, you have a wide swathe of shapes, sizes, and stains to choose from when adding a contemporary touch with a wooden fence. We’ve highlighted a few options. 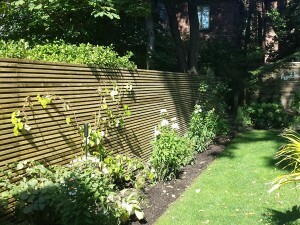 This is a fairly simple, yet visually attractive style of fencing where wooden slats run horizontally to form long lines. With the posts hidden, the slats form a screen, are enjoyable to look at, and are perfect for the modern backyard. Stain patterns can be matched to complement any other colouration of wood (garage doors, etc.) on your property. This is a classic design that we spruce up with our own twists. 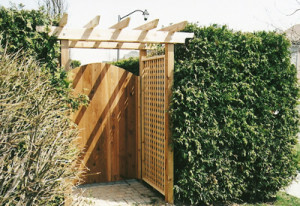 Vertical fences offer more privacy while adding their own personality and a beautiful décor to your property. 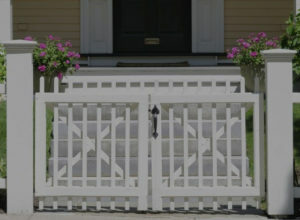 A beautiful white picket fence provides a distinct visual appeal within a classic style. It offers an alluring sense of openness while providing structure and form. 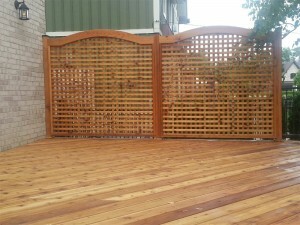 Thicker pickets made from timber, on the other hand, add more character to your property. There is also more light let in and greater visibility when looking out. 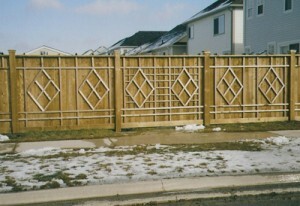 This is a lovely design that offers privacy and concise boundaries. It’s simultaneously beautiful, durable, and sophisticated. It also lets light in, gives you a view, and is ideal for vines to grow on. Dark fences are quietly garnering more and more interest; this is partially because they contrast well with greenery to make dark fencing a striking option. Enjoy privacy, concise borders for your greenery, and a lovely overhang that adds simple elegance to the design of your home. This combination is also perfect for vines and flowers. A hedge can perform all of the same functions as a fence with the added benefit of supporting ecological diversity. A living fence provides a softer visual aesthetic, a buffer for sound, improved air quality, and enjoyment from maintenance. There might be something special or unique that you want built on your property. 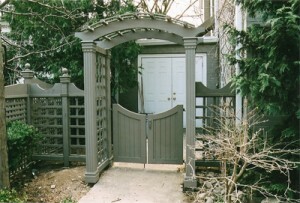 Find inspiration in a magazine, old photo, or one of our previously built fences. We can work with you to customize a design to breathe life into what you’ve been dreaming about. 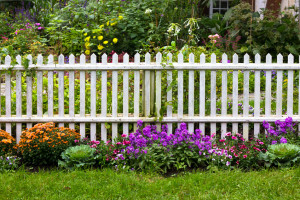 When looking to install a wooden fence in Toronto, remember that strict planning comes first in order to adhere to building codes, build inside your property line, and compensate for any other factors (building on a gradient, weather conditions, etc.). Also remember that there are expert companies that can lend a hand. 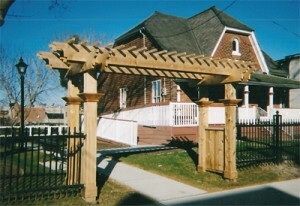 Total Fence Inc. is a fully licensed company that goes beyond installing fencing. Rather, we’ve taken it upon ourselves to provide homeowners with the type of design options and varieties that dramatically increase the visual aesthetics—and value—of their home. Want to know more? Feel free to contact us with any questions.